The Indian Cormorant or Indian Shag is found along inland waters of the Indian Subcontinent. 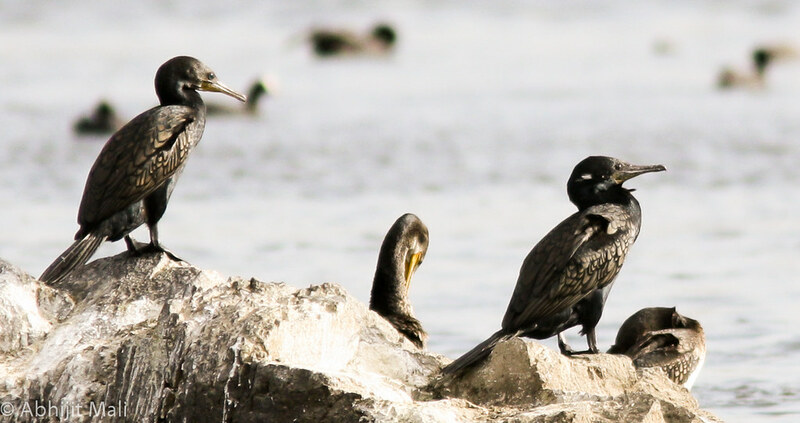 Young and non-breeding cormorants are brown in color. They are often found in large groups and often fish in groups, the photo taken above is shot at kavdi pat near Pune, Maharashtra. I think it was their resting time in the afternoon and most of the day they spend their time sitting on the rock at kavdi pat. They often make short dives to capture fish in the water and when in water the body of the bird below its neck is submerged in water.